The government has announced that VOSA and DSA will merge to form one new government agency to handle the work of both of these two agencies. This will result in some job losses and the opportunity to rationalise the real estate owned by these two departments. The aim is that in addition a new more streamlined operation for dealing with all driving matters be created. This will include driver licencing and testing as well as vehicle testing. The DVSA are currently consulting on external moderation of driving instructor qualifications to further streamline its driver services. 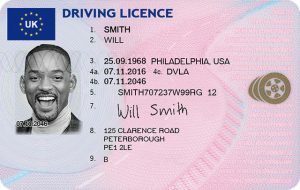 The first step towards obtaining a full drivers licence in the UK (cat B) is to get a provisional licence this can be obtained online at http://www.direct.gov.uk or by completing a form that can be obtained from main post offices. The current provisional driving licence fee is £50. You can apply online if you have a digital passport with a photo that can be used for your driving licence. On receipt of your licence and providing you are 17 or over you can drive on the public road while accompanied by a qualified driver aged 21 or over and with at least 3 years driving experience as a qualified driver for the category of licence relevant to the car being driven. Most people at this stage will start driving lessons with a fully qualified professional driving instructor. 98% of people taking their driving test will have taken lessons with a professional instructor. Driving instructors can be self employed or may work for a driving school that has other instructors under a franchise basis. Among the best known driving schools in the UK are Red Driving School, BSM and AA the driving school. BSM and AA driving schools are now owned by the same company. ADI Ninja offer driving school diagrams for driving instructors. You can find a driving school that will best suit your needs. There are many female driving schools that cater specifically for female pupils as well as driving instructors who speak other languages such as Hindi or Gujerati. ILM2Drive is a driving school that can offer multilingual female muslim driving instructors. For anyone looking exclusively for a female driving instructor Female Driving lessons are available throughout the UK. There are many high class female instructors who are every bit as good as their male counterparts. The DVSA has announced that learner drivers will be allowed to drive on Motorways before they pass their test as from June 2018. One important proviso is that they will need to be accompanied by a fully qualified driving instructor. This means that learners with other accompanying drivers such as parents or spouse are still not allowed on motorways. One more reason for using a DVSA approved driving instructor. The DVSA promotes safe driving for life as it oversees driving tests, driving examiners and driving instructors in the UK. However collisions are an inevitable factor on todays roads. Whether you need an ambulance following a motoring accident or for other reasons the Heathrow Air Ambulance Service can offer a private ambulance service not just for Heathrow but nationwide. All ambulances are built to and maintained to the highest standards. If you lose or mislay your licence you need to obtain a replacement which you will need to pay for. If you still have your licence but change your address no fee is payable but it is an offence not to inform the DVLA of your new address. With interest rates at a historically low level, there has never been a better time to get a car loan. You can find comprehensive information at car loans for you. However it’s important to ensure that you never borrow more than you can afford to pay back.